Beltts is specialized in manufacturing belts for tracks used in snowgroomers applications. 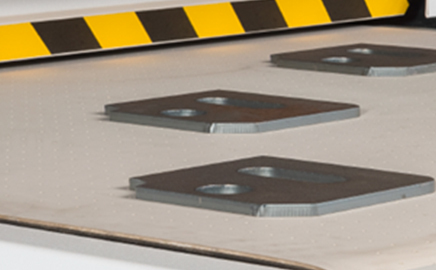 Our production is fully compliant with the specifications required by the most important oems. Sleeve belts (without joint) for high speed devices in the bulk material processing. Our belts are sleeve (truly endless, without splice). They are designed and manufactured to suit the high speed conveying application required in the bulk material positioning (moving, storing, loading for transport). 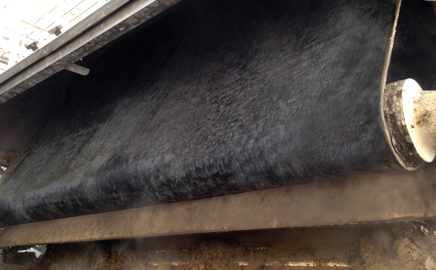 We offer a very wide choice of structures (carcass and covers) that allow our belts to be used for any application, eliminating short belt life, elements separation, difficult tracking and other common problems. 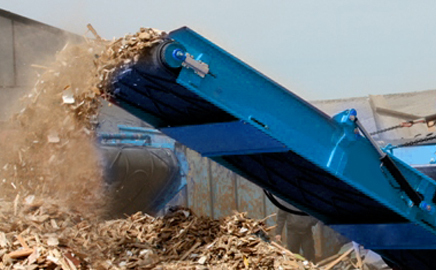 The modern shredders are using innovative designes and materials in order to achieve the highest perfor-mance requested by the market. Currently the most important manufacturers produce machines which require the use of special conveyor belts made of rubber with different types of reinforcements to ensure wear resistance, cut resistance and to improve the reliability in their applications. Rubber belt for rotary drum filters. Rotary drum filters are used in different applications as solid/liquid pressure filtration. 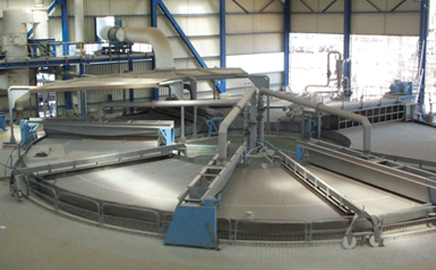 The machinery consists of a large rotating drum divided into circumferential sectors. 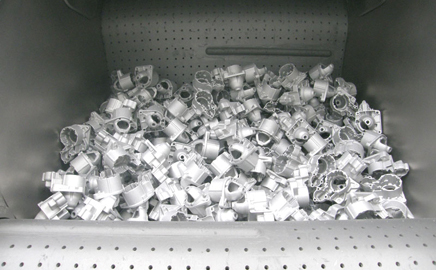 Each sector forms a separate vacuum cell with internal piping connecting to a port on the end of the trunnion that supports the drum. 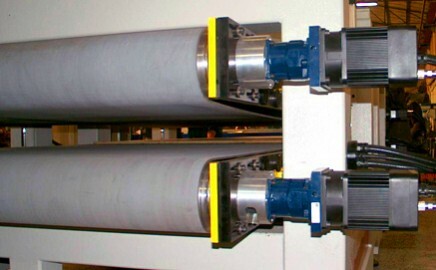 Endless rubber belt for vacuum filter in flat rotating table filters. Vacuum table filter. The vacuum table filter is mainly used in dehydrate and hemihydrate processes of filtration for phosphoric acid production. The filter is formed by a certain number of fixed cells connected to a stationary valve that controls the suction and pressure zones. Each cell has a sloping bottom and is separated from the others by a rubber radial barrier. A variable pitch screw transports the material radially to the discharge zone. 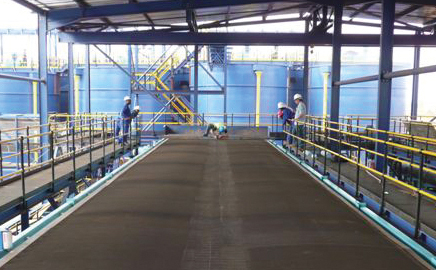 The drainage belt is the most important component of every filtration plant. Every single belt is designed and tailored to meet all the requirements related to the plant process data. Until today we have produced and sold more than one thousand filterbelt all over the world. That thanks to investments for the construction of new plants, development of new production systems, research for new material and components. The result is that today our company is among the world leading manufacturers of filtration belts. Truly endless belts for foldering and gluing machinery. Belt TS has developed Boxroll Belts together with the technicians of Machinery Manufacturers, as well as with the End Users. 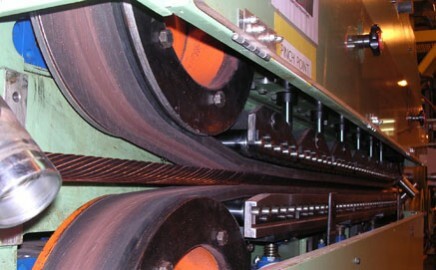 Boxroll Belts perform special features that allow their adoption in a wide range of industrial applications. 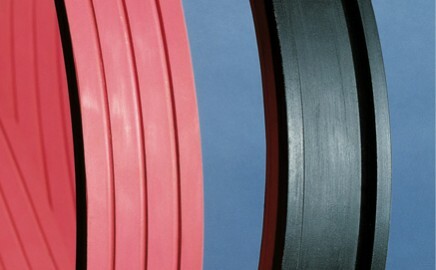 Truly endless rubber belts for shot and sandblasting machinery. 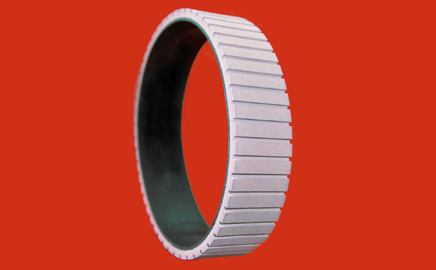 BeltTS srl has developed GRITROLL belts together with the technicians of the main machinery manufacturers in the sector, whom are among our long-term Customers. 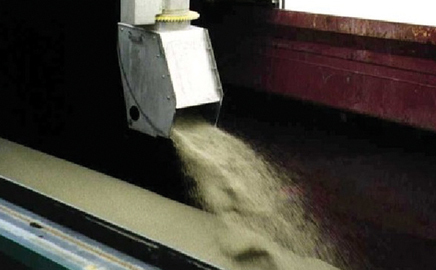 There are several processing conditions that range from the removal of surface oxides to the removal of cutting burrs, brushing, sanding, polishing or buffing. Truly endless belts with high flexibility and special rubber compound: FDA approved, high abrasion and tearing resistance, used in food industry to separate the meat from bones and sinews, used in poultry and fish processing as well to get pulp or juice in the vegetable/fruit processing. No size limits. Truly endless V- belts with high flexibility, absolute linear running, excellent grip and great resistance to deformation, used in the woodworking industry on squaring, edging and tenoning machines. The belts are available with all the standard V-sections as well as with special sections. 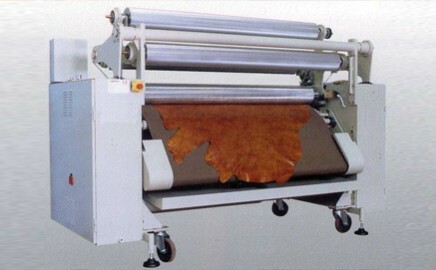 Truly endless belts with high tension member tensile strength (and short elongation), and excellent rubber cover grip, used in the woodworking industry on horizontal timber slicing machines for the production of veneers sheets. The belts are available in different structures according to the application, without sizes limits. 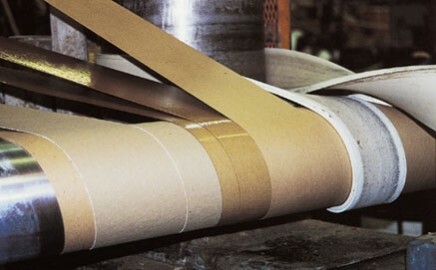 Truly endless belts used in paper industry for cardboard tubes winding. 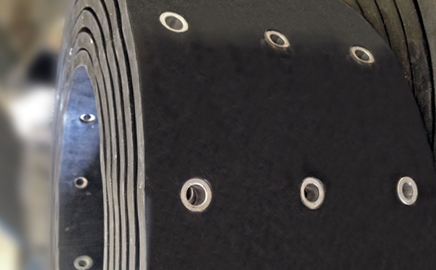 Belt TS has developed TUBEROLL belts through extensive tests on Cardboard Tube Machinery. 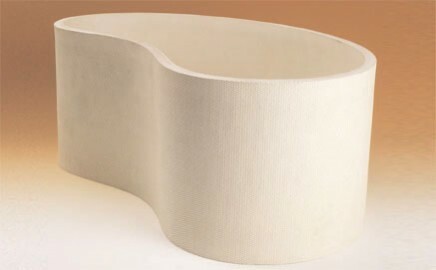 Due to the special structure of carcass and to the top cover compound TUBEROLL belts allow the required quality in cardboard tube manufacture. In particular, TUBEROLL belts enable a correct transverse stability without buckling and overlapping. Truly endless belts with perfect running linearity, great physical-mechanical characteristics, high resistance to oils and solvents as well to temperature, used in the leather industry on roller dye coating machines. 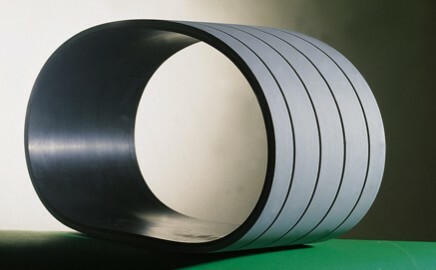 Different rubber cover qualities according to the specific application as hardness, specific compression set (rebound elasticity) and chemical resistance to solvents.